A 3 Part prequel is being made. 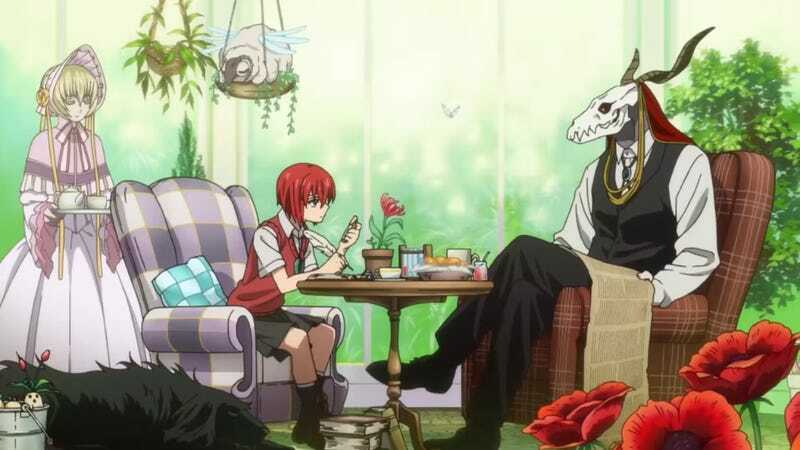 The newest volume of the manga “The Ancient Magus Bride” has revealed that an anime adaptation is coming in October. Meanwhile Wit Studio is releasing a 3-part prequel called “The Acient Magus Bride: Those Awaiting a Star” and the last part will come in August. Norihiro Naganuma is directing the anime at Wit Studio; Aya Takaha is in charge of the scripts. “Chise Hatori has lived a life full of neglect and abuse, devoid of anything resembling love. Far from the warmth of family, she has had her share of troubles and pitfalls. Just when all hope seems lost, a fateful encounter awaits her. When a man with the head of a beast, wielding strange powers, obtains her through a slave auction, Chise’s life will never be the same again.